I saw this title a few weeks ago but for $20, it didn’t quite tickle the fancy. But, once again, thanks to Sony’s stupid non-stop sales…This week’s 50% of deal was too good to pass up. 1.3Gb later, I’m playing one of the few Japanese shmups on Sony’s machine. After an evening with it, it’s certainly no DDP or even most of the other legendary shmups. However, for $10 it includes the DLC featured on the 360 version and has a ton of modes and options. There are a crap ton of trophies, the different characters really control differently and there are varying difficulties and versions of each stage. It’s certainly worth the cash and I’ll play this here and there for a while. Good stuff!!! 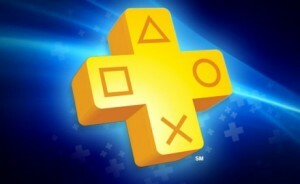 I was a day-one subscriber to Playstation Plus and have not one second regretted that decision. Alternately, I accidentally renewed my Xbox Live subscription and went an entire year without ever using it once. I digress. I love me my PS+ but man…this isn’t good! My HDD is full, or close enough to it, and I went through my download list only to find several titles ‘purchased’ but not downloaded. Shadow Of The Colossus, Dragon’s Dogma, the first Resident Evil Chronicles game…Kingdoms of Amalur and Binary Domain there were more too. This is in addition to the dozens of games on my HDD already. Guardians Of Middle-Earth – barely even touched. Ico, the same. The list goes on. Then…let’s not forget the discounts. Mamorukun Curse for 50% off? OK. Ys Seven for $7.50? Must…resist..? I bought the Aliens game even though I knew it was garbage simply because it was so cheap! I grabbed the first Ratchet & Clank for $3.75. Three Seventy Five!!! Madness.